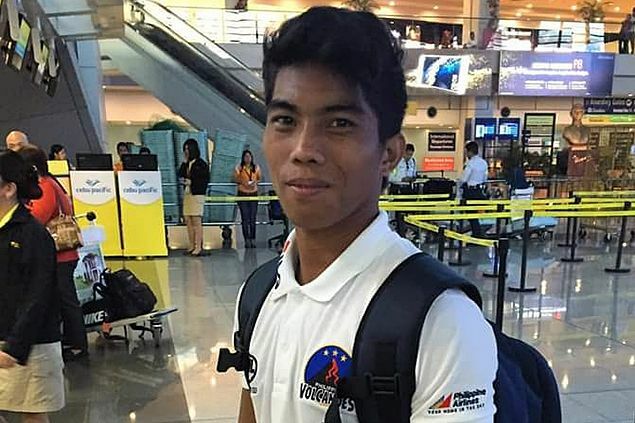 It was at the Tuloy Sa Don Bosco Street Children Village in Muntinlupa that Lito Ramirez was first exposed to the sport that would change his life. MAJORITY of the Philippine Volcanoes look forward to spending the holidays in Europe, Japan or Australia with their families. Lito Ramirez is excited for his upcoming trip to Enchanted Kingdom. A member of the Philippine rugby team's training squad, Ramirez said he can't wait to join kids from the Tuloy sa Don Bosco Street Children Village in Muntinlupa City in their annual Christmas trip to the Laguna theme park. The excitement was both genuine and understandable: he used to be one of them. 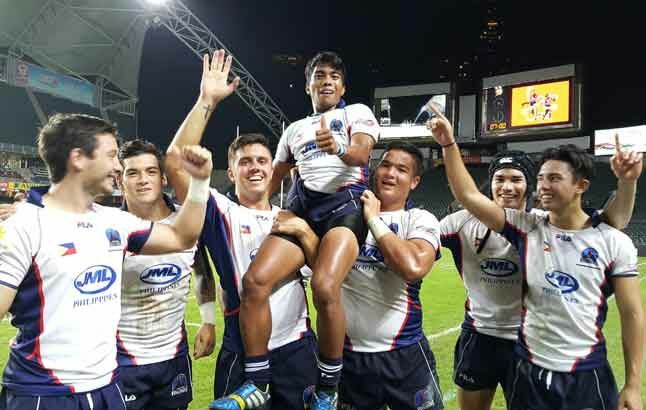 The origin of the 21-year-old athlete, who recently made history by becoming the first homegrown player to emerge from the Philippine Rugby Football Union (PRFU) grassroots program to earn a place in a national training team made up predominantly of Fil-foreigners, is as humble as they come. “Nung bata po ako, street child po ako,” Lito, a fly-half in local rugby union games but a winger and full-back for the Volcanoes, told Spin.ph when we finally got to interview him after waiting for him to finish officiate three inter-school rugby matches at the International School Manila during the weekend. The soft-spoken rugby player recalled he lived in the streets since the age of five and has no recollection of the parents he last saw before he was abandoned at age seven. Based on his founding certificate, he said he might have an elder brother but is not absolutely sure. Lito’s surname is from the person who found him and took him to a shelter for children in Quezon City. When he was 11, he was transferred to Tuloy sa Don Bosco Street Children Village, where, aside from an education, the young Lito learned other things that helped shaped him as a person. “Marami po akong attitude na natutunan: manners, respect, at nagkaroon ako ng mga kaibigan,” he shared. It was also at Tuloy that Lito got his introduction to the sport that would change the life of a kid, who, almost certainly doomed to a life sniffing rugby had he stayed in the streets, instead became a national rugby player. Lito, by then a member of the football varsity team of Don Bosco’s priest Marciano “Rocky” Evangelista, said he took to rugby since it favored his athletic prowess. With coach Carlito ‘Alo’ Abono as his mentor, Lito has slowly risen from the ranks. He started with touch rugby and went on to compete in several divisions: the Under-18 team, the Under-19, the Philippine A team, and the Development Team until he became part of the training squad of the Volcanoes. Volcanoes team captain Jake Letts is no doubt impressed with the homegrown player. “Lito showed great potential with his speed, footwork and eagerness to learn the game at a higher level," said Letts. "He plays well above his weight and it shows with the ball in hand. He doesn't shy away from contact, has the toughness in him to play on the world stage. Lito is also a Development Officer for the PRFU, assigned in the Alabang area where he teaches the sport to children from foundations that include the Haven for Children and the DSWD — an avenue for the former street child to give back to the sport that has provided him with a means of livelihood and a chance at a better future. Lito also finds time to go to Tuloy where he attends church and often yearns to play touch rugby with the kids there. Joining the Volcanoes is actually his second dream. His first dream? To become a rugby coach. So during weekdays, he teaches rugby to kids in the Sunken Garden inside the National Bilibid Prison compound. Among the Volcanoes, Lito has also gained a new family and he looks up to two Kuyas: Gaz Holgate and Letts. His ultimate dream, Lito said, is to land a spot in an overseas league where rugby union is big. “Sobrang laki ang tulong sa akin ng sports," said Ramirez, who currently lives in a boarding house near the Muntinlupa City Hall with two of his kababatas from Tuloy: one works in a call center while another is a friend who he is helping to rise from the ranks in rugby. "High school lang ang natapos ko, parang wala din po akong mahanapan ng trabaho. Pero dahil sa sports, nakabiyahe ako sa ibang bansa. Ang ambisyon ko po ay makapag-laro sa local teams ng ibang bansa na may steady income,’ he said. But for now, his focus is on earning call-ups with the Volcanoes. According to Letts, Lito has been included in the 2016 Volcanoes training squad where he will have to prove himself in each international tour. “The second saying we have is, 'Every jersey is leased, and rent is due everyday.' Meaning every player is expected to train hard and earn their jersey every day at every training session." The Volcanoes will have six international sevens tours next year and Letts said Ramirez will have to prove himself in each of the training teams to earn a call-up for each tour. Ramirez said he is ready for the challenge, but on this afternoon, that's not what was on his mind. His thoughts were on the coming trip to Enchanted Kingdom, where he is excited to once again try out with the 'Tuloy' boys the Space Shuttle and Rio Grande Rapids rides, even displaying some techniques so he wouldn’t get nauseous. Those rides are no doubt exciting; but nowhere as wild as the ride of Lito Ramirez's life.